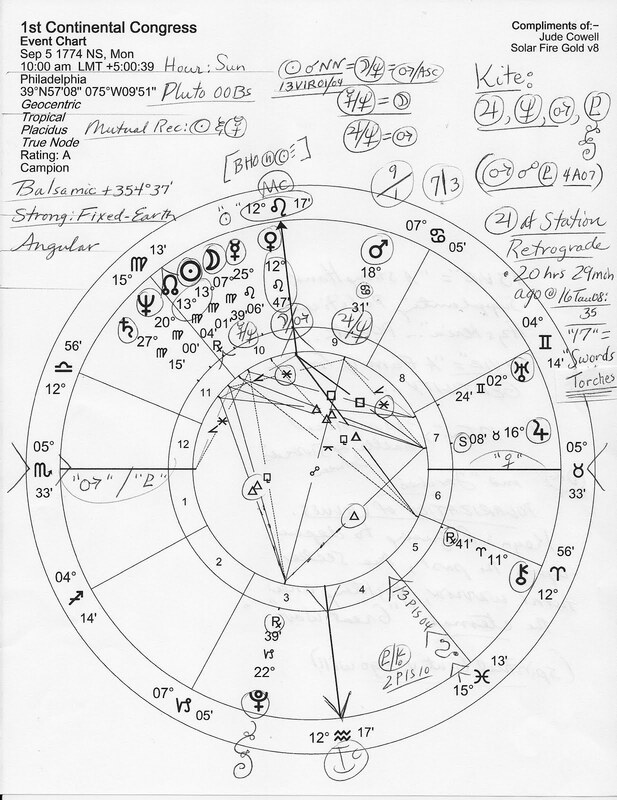 With so much going on concerning the US Congress these days, and with undermining anarchists determined to weaken, obstruct, and crash it, I decided to post the natal horoscope of the very First Continental Congress which met on September 5, 1774 in Philadelphia, Pennsylvania, our capital city until the location of the District of Columbia was selected, laid out, and constructed by the early Freemasons of the day including George Washington wearing his Masonic apron at cornerstone-laying ceremonies. Representatives from 12 of the 13 colonies were present though a delegate from my home state of Georgia (#13) was not. At MC is Venus @12Leo47, implicating the Founders in the Isis/female deity worship that permeates political society still. We have only to look at the statue of 'Freedom' atop the Capitol Dome or at the Statue of Liberty (Venus, whose metal is copper) to see the reality of their ideology and delusion all around us--especially if you're aware of the importance of Virgo and Ceres in American lore with our national Neptune (idealism) in Virgo, sign of the Virgin. 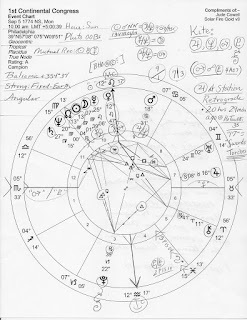 Chart-ruler is Mars with Pluto as sub-ruler and the two planets (though Pluto was not discovered until 1930) are in opposition (4A07) denoting future conflicts which of course, the Revolutionary War was. The natal Mars-Pluto opposition also represents the extreme danger in which the delegates acted for simply meeting as they did to foment rebelliousness against the British Monarchy. 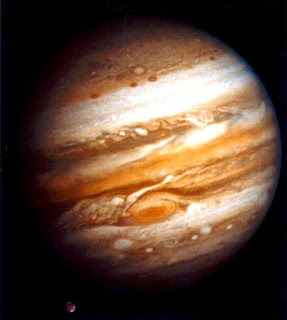 The Mars-Pluto aspect is significant as well because the two planets are part of a Kite pattern indicating success along with Jupiter (Stationing Retrograde @16Tau08 in the 7th house of Open Enemies and Partnerships) and secretive, inspirational, mystical Neptune @20Vir00 in 11th H of Groups and Associations. As you see, out-of-bounds Pluto is the Kite's 'tail' which may signify powerful help (and possibly manipulation) from afar. 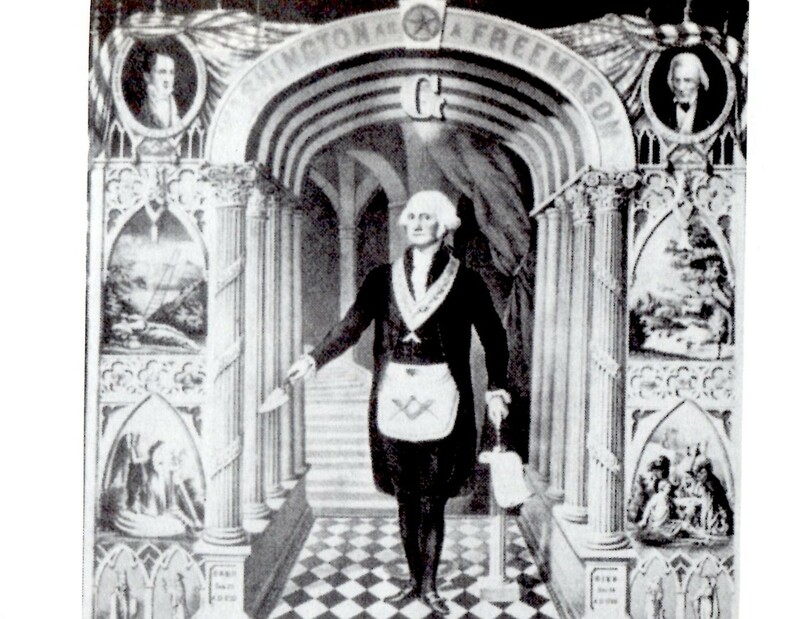 Popes and secret societies are two entities which come to mind. 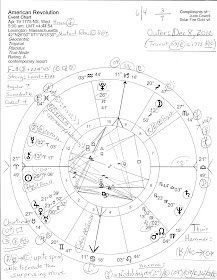 Yet the closest applying aspect to chart-ruler Mars isn't its opposition to Pluto, it's a more beneficial sextile to Neptune (1A28) which indicates several conditions including potentials for nervous energy, procrastination, winning tactics and strategies, a preference for fantasy over reality, overstretching and/or overindulgence, a tendency for 'collecting' a string of victories, and the capability for understanding complex issues--or, the use of complexities to obfuscate the issues! The character of the First Continental Congress' leadership may be view through the closest applying aspect to the chart's Sun @13Vir001 (conjunct NN @13Vir04 = meetings, encounters, intellectual associations, the public--Ebertin) and that is the beneficial trine (120 degr) between Sun and Jupiter (3A06) which denotes recognition, life advancement, the generally 'made' fortunes of the participants (which would have been lost along with their necks if discovered), and an abundance of creative energy. Being informed on many topics is indicated as well, yet a certain air of laziness could pervade matters if hardworking Saturn's ambitious energies were not properly directed. If this reminds you of recent US Congresses, you may wish to find more info concerning this curious symbol in a previous post with its ongoing effects upon the Washington narrative which is part of the 'global conquest' script most of our politicians follow, 112th Congress: "Swords" vs "Torches". And to be honest with you, I believe that some of those who don't follow the nwo script are only acting and pretending in devil's advocate roles to give the American people the impression that our family-oriented, mind-our-own-business, anti-imperialist views are shared by at least a few of our representatives in Washington DC. For more Astrology on a personal level, check out Mandi Lockley's excellent two-part series on Uranus in Aries Wakes Up Your Mars!